Now its time to more enjoyment, new Ninjago game and this month of Star Wars , you children get free admission . Find your kids the Star Wars character FULL COSTUME be it the Jedi or the dark force costume, and walk in FREE at no charge. 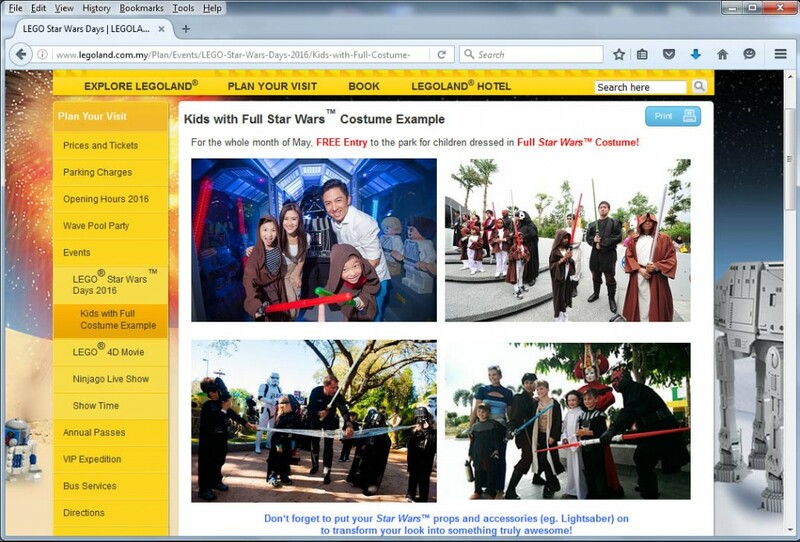 For promotions Terms and Conditions please refer to Legoland.com.my website. Hurry!! !